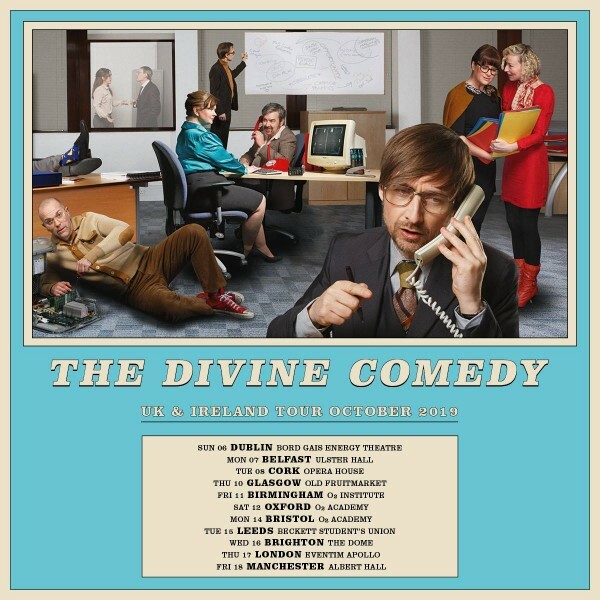 To coincide with the release of their latest album, Office Politics, this June The Divine Comedy will be on tour during October at major venues across the UK and Ireland. www.glos.info have secured a pair of tickets to see The Divine Comedy with Neil Hannon perform at the O2 Institute, Birmingham on Friday 11th October 2019. Question: In which city does The Divine Comedy tour start on the 6th October 2019? Entries must be received before midnight on Sunday, 29th September 2019. The winners will be drawn at random on Monday 30th September 2019 and will be contacted via email. The winner will win a pair of tickets for The Divine Comedy with Neil Hannon perform at the O2 Institute, Birmingham on Friday 11th October 2019.